A lifestyle that offers more than you expect and the redefines what Island living has to offer. An all inclusive walkable lifestyle you'll never out grow. 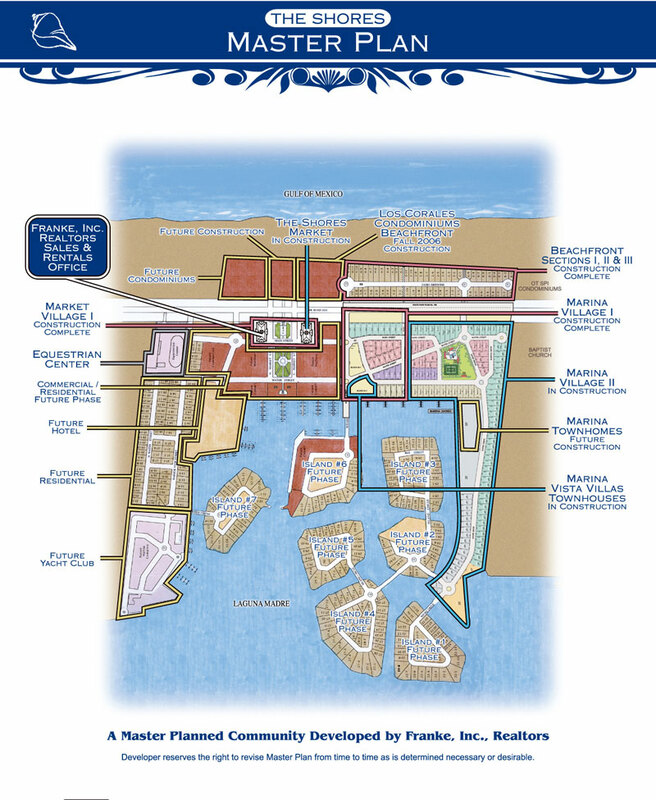 The Shores is the Texas coast's prime example of smart growth and new urbanism community design. Discover a smarter - easy living - safer - coastal way of life! Coastal and waterfront communities have a distinctive sense of place created by their history, as well as by their characteristic sights, sounds, and smells. Smart Coastal Growth principals have been developed by industry leaders and the government to recommend walkable communities with physical and visual access to and along the waterfront. With Smart Growth in a walkable community, trips by bicycle or on foot are viable transportation alternatives to the car. Walkable communities locate a mix of uses, such as homes and shops close to each other. They provide sidewalks, crosswalks, and bike lanes that create safe passage for walkers and bikers, and they offer convenient, well-designed parking that encourages people to park and walk to their destination. Walkable communities offer more transportation choices, higher levels of social interaction, greater opportunities for physical activity, and reduced emissions from automobile travel. For waterfront communities, improving the connection between pedestrians and the water can increase interest in walking and biking. The pedestrian connection to the water can be improved physically, with better street, path, and trail connections. The connection also can be approached visually, by designing the built environment in ways that preserve the view of the water and encourage residents and visitors to access the waterfront on foot. Orienting the built environment to the water can improve access to it and encourage a better appreciation of this precious asset. Ensuring physical access from streets or sidewalks to the waterfront can be a challenge, however. Many coastal and waterfront communities have a shortage of facilities such as walkways and boat launches. Pedestrian access to the water must not only be connected to the built environment, but also accommodated in ways that protect natural resources. Sidewalk design standards that provide ample room for walking (buffered from traffic by parked cars or trees and other vegetation) can encourage more pedestrian activity. Trees, planting strips, and rain gardens create more pleasant pedestrian environments and can be designed to manage stormwater runoff. Finally, routine evaluations of permits, zoning laws, street design guidelines, and other policies can help ensure that existing regulations and programs enhance the walking environment and support the community's desire to design and position buildings in ways that make the water easy to access. A walkable community requires much more than a sidewalk, path, or boardwalk. In coastal and waterfront communities, it calls for a comprehensive approach to building and street design, parking, zoning, and water access that ensures that pedestrians are safe, welcome, and have a range of destinations-water- and land-based-to which they can walk. The natural beauty of the water draws people and development to its shores, yet many coastal and waterfront communities have found that conventional development patterns threaten the assets they treasure most. Smart growth is defined by 10 principles. These principles provide a framework for making growth and development decisions that yield better economic, environmental, community, and public health results. Developed by the Smart Growth Network, a coalition of national and regional organizations. These principles help guide growth and development in communities like The Shores that have a clear vision for their future and understand the values they want to sustain. Smart Growth designed communities have proven to appreciate in value more than traditional communities and in a study averaged tens of thousands more in value per home and increased the desirability of the area. 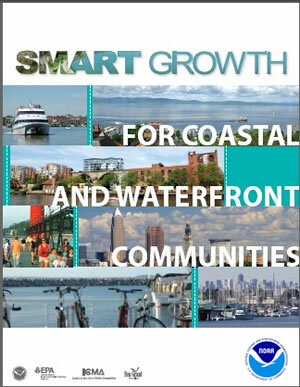 Smart Growth Coastal communities are storm resistant, energy efficent and support aging-in-place initiatives. You'll never outgrow the community and can enjoy the benifts regardless of your physical abilities. Back to full news archive.